Nearly a year of news reports have made the City of Cape Town synonymous with ‘water crisis’. Widespread headlines and televised broadcasts portrayed it as “the first major city in the world to run out of water,” and left the impression that its water shortage was worse than anything faced elsewhere in the world by any other major city. But is that true? And if so, what lessons can be learned? 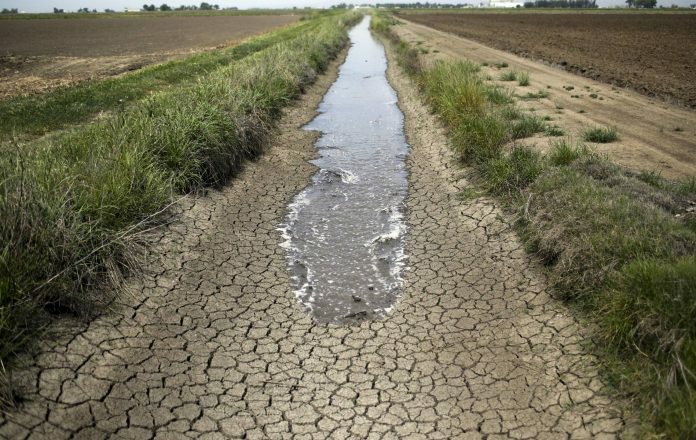 Against the gloom and doom backdrop, the International Water Association’s biennial Water Loss Conference in early May offered a detailed assessment of the water-supply situation in Cape Town. Among the highlights of the presentations (viewed on waterloss2018.com) we can place the various issues and assertions in perspective. It turns out Cape Town was neither the first municipality to contend with scarcity, nor did it suffer a complete water supply system failure. Such statements sell news but are a far cry from the truth. While Cape Town did indeed come within several months of water rationing (that is, imposing city-wide intermittent supply), there are many examples from around the world where extensive intermittent supply is either the norm or has been introduced during severe drought events. Francisco Paracampos from Brazil described Sao Paulo’s recent water crisis as it struggled to supply some 20 million people. SABESP, the city’s water company and one of the largest in the world, experienced its worst drought on record and had to take extraordinary measures to avoid their own “Day Zero”. The city’s main reservoirs dropped below “dead storage,” the level at which the normal abstraction points cannot access the remaining water. For four months, massive pumps had to pump out the remaining 140 million m3 of water in the reservoir. It came within five days of a cut-off, where residents would have had to fetch water from collection points. Reinforcing the point, Bambos Charalambous offered first-hand experience of the water crisis that several years ago engulfed the island of Cyprus. The island did face its “day-zero,” at which point decision-makers chose to implement wide-scale intermittent supply, against the recommendations of technical managers. The situation grew so bad that water had to be transported to Cyprus by tanker ships from Athens in Greece. Tim Waldron described the Millennium Drought that gripped Australia’s Eastern seaboard. He detailed how major cities such as Sydney, Melbourne, Brisbane and Adelaide grappled with and recovered from their worst drought on record, reducing their daily per capita demand across all usage sectors to less than 140 litres per person per day. Peter Flower, as head of Water Services in Cape Town, has the unenviable task of steering the Mother City through its current drought, already the worst in over 200 years and still far from over. On his watch, Cape Town reduced its annual average daily water use to less than 950 megalitres (Ml), with summer peaks not exceeding 1,200 Ml/day. For 15 years, total water use remained at 2000 year levels, despite the population increasing by more than 30 percent from 3 million to 4 million. The city saved water through both technical and social measures. It had earlier introduced among the world’s largest pressure management installations at Khayelitsha and Mitchell’s Plain, which supply almost 500,000 residents each. More recent water restrictions in 2016, which focused mainly on social and behavioural changes, halved summer daily water use from 1,200 to 600 Ml/day in November 2017. Technical measures – accelerated pressure management implementation across the City and leak location/repair — further saved 50 Ml/day to bring the demand down to around 550 Ml/day. So how does Cape Town compare to its counterparts? The city reduced its pre-drought water demand by more than 50 percent, without resorting to intermittent supply. São Paulo achieved a 30 percent reduction, while in Cyprus the overall reduction — after introducing intermittent supply – was less than 20 percent. Cape Town’s per capita consumption was halved to approximately 115 litres/head/day, compared to the 140 litres/head per day achieved in Australia. The city’s own daily target — 50 litres/head per day — referred only to the domestic consumption after the consumer meter; this should not be confused with the publicised higher values, which include all other sectors of the water use in the city including water losses, and industrial and commercial use. Not all conservation effort is comparable. California recently celebrated a reduction in average daily per capita consumption from 500 litres to 400 litres, a laudable 20 percent reduction in demand. Yet imagine the howls of protest if, say Los Angeles had to lose another 100 litres each day starting from just 220 litres — the point at which Cape Town began. As with weight reduction, shedding the first kilos is initially easy, while those last litres are the hardest to lose. And now, having ‘slimmed down’ our cities on a rigorous water diet and healthy regime, the challenge ahead is how to stay fit and keep off the fat. Previous articleIs your water pricing strategy right?